The concept of cine@citta is to bring cinecitta back to public attention through an interactive game system. 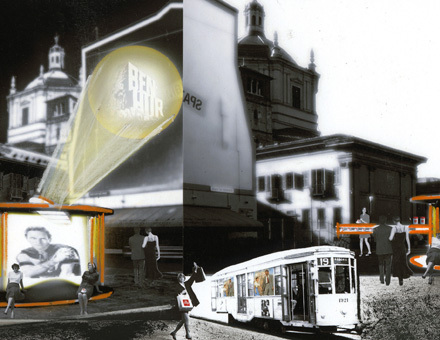 The project involves the public directly with cinecitta through the incentive of winning. 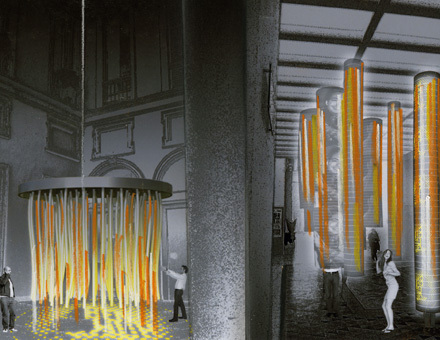 The concept proposes 2 levels of interaction.Interaction via public media in circulation such as public transportation tickets and cell phone cards and via a net of interactive nodes spread all over the city of Milan. The interactive game system is based on cinecitta movie scenes that are identified using a cell phone as the personal identifier. The players collect cinecitta points or enter a prize lottery. 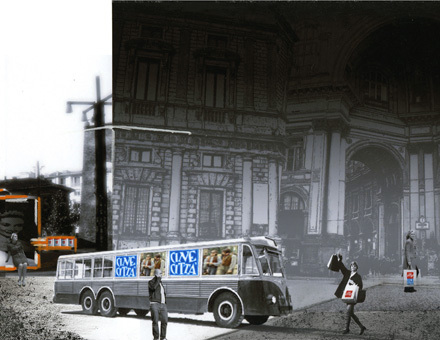 A relationship with the cinecitta story and movies is re-established in a playful and challenging way. 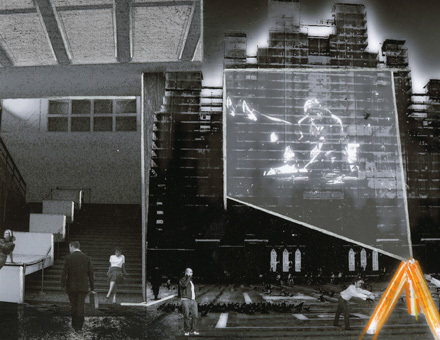 a system of nodes infiltrate the city and uses the infrastructure of the city as interactive projection surfaces. A center node acts as receiver/ transmitter and creates a physical space for immersive experiences. In collaboration with Nikiforos Maragos and Gregory Poletta.